oil Archives - What the Forks for Dinner? If you are in a hurry, and who isn’t most days? 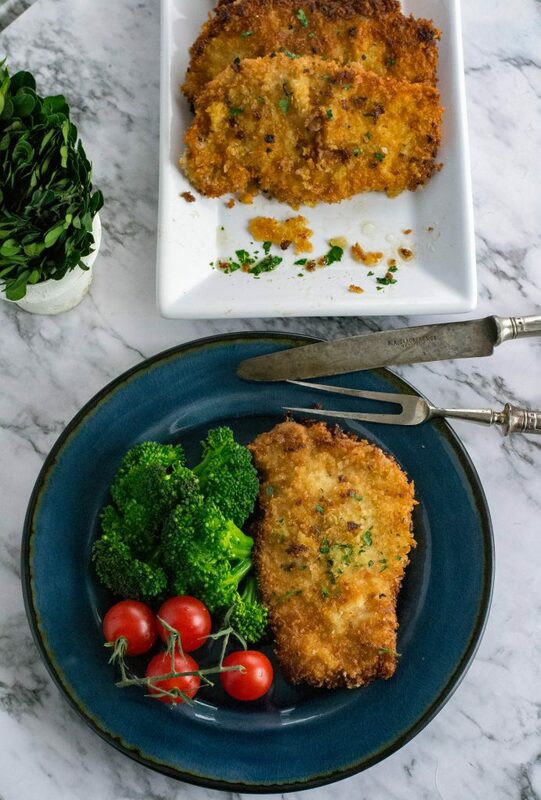 Quick Crispy Dijon Pork Chops can have a delicious dinner on the table in no time flat! Most days the last thing many of you want to do is worry about dinner, or worry about how you can get dinner on the table quickly. Thin cut meat is the answer to those who are short on time. They cook in virtually minutes no matter the application. Having a crispy coating on meat or fish is a must in my book. To get that crispy exterior usually means a dipping station…..flour, eggs, and breadcrumbs. Who has time for all that, and the mess….ugh! On a whim, I tried spreading mustard on some thin cut chops and then dipped them in seasoned panko breadcrumbs. They fried up perfectly. And in record time. It took all of 6 minutes. The side dishes took longer! The beauty of this dish is it can be used on chicken or fish also. 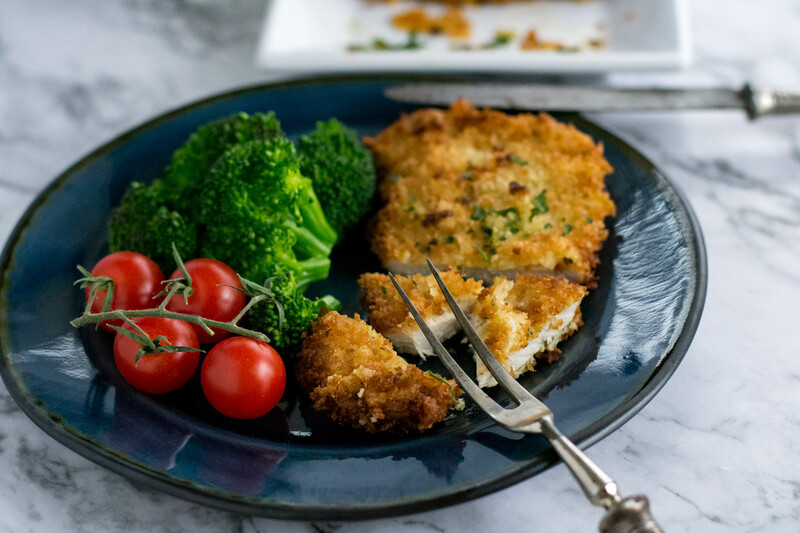 Be sure to use very thin cut meats or the panko will burn before the meat is done. 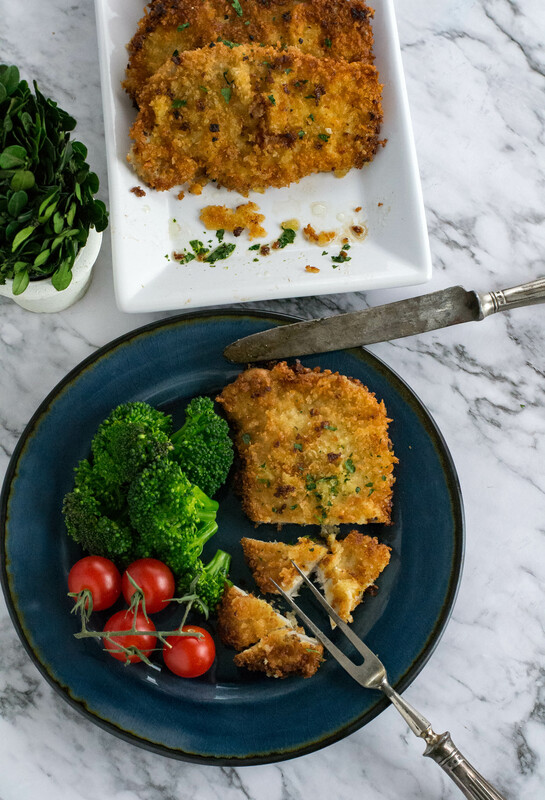 Quick Crispy Dijon Prok Chops are your new go-to dinner when you are short on time, but still, want a scrumptious meal that your whole family will love. Pat the pork chops dry with paper towels. 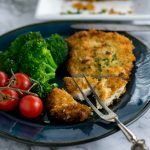 In a shallow dish or on a paper plate season pork chops with salt and pepper to your taste. 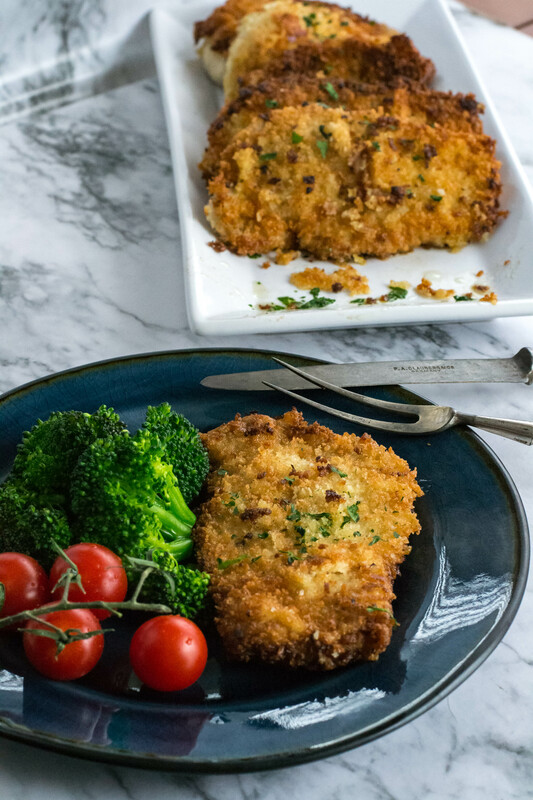 Press mustard coated chops into seasoned panko crumbs making sure you cover all the mustard with crumbs. In a large skillet pour enough oil to coat the bottom of the pan and heat over medium-high heat until hot. Place coated chops in hot oil and fry until golden brown, about 2-3 minutes. Turn chops and cook for an additional 2-3 minutes.